You are currently browsing the tag archive for the ‘His Lucky Charm’ tag. Brandon had to take her in his arms at that point. He hated to see her looking so vulnerable. “I believe you, I really do.” He held her close against him and thought how well she fit. She looked up at him when he used the endearment and he could no longer resist the urge to kiss her. Caitlyn’s lips parted under his and he felt the tips of their tongues touch and tease. He held her tighter and he was afraid he’d crush her if he weren’t careful. She pressed herself up against him. When it became obvious, physically obvious, that Brandon really wanted more, he broke the kiss. He was determined to keep himself controlled but he admitted that it wasn’t easy so long as she was in his arms. He finally turned to look at her. “I hope so.” He meant it. “Good night.” He started to lean in for a kiss and then stopped himself. She saw him stop and smiled slightly. “Yeah.” He nodded at her and then he left. It was already night when he got back home, but he had to go pay a visit somewhere. Tom had only been at Joyce’s grave a few times. In the beginning it was just too painful. Now, it was just not something he ever got used to doing. After attending the funeral for the young state trooper though, Joyce was pulling at him. He stopped at the local grocery store and bought a small bouquet of flowers from the produce rack. He knew where the grave was even though it had been a while. Tom arranged the flowers in front of her headstone and then sat on the wet grass. He leaned his head against the cold marble. There was a full moon above that played games with the lighting in the cemetery. He was alone. It was after hours and he really wasn’t supposed to be there but he didn’t want to have this conversation with anyone else around. Tears came to his eyes as he remembered seeing her casket lowered into the ground. He felt like his heart had turned ice cold that day. “Life has gone on all around us babe. So many things have changed… So many things.” He put his hand on the marble headstone and wished he could feel some life force or something. Tom had heard stories from people who claimed it happened to them. The stone was cold and still. Tom sat in the darkness remembering Joyce’s love, remembering the way Alli made him feel. It was several minutes before he spoke again. He was sure that Joyce was filling him with hope for a future. He almost swore he could hear her voice telling him to live and love. It had been more than eight years since he had seen that high school ring. She had been wearing it on a gold chain around her neck as she kissed him and told him she’d see him later. He waved as she got into the car with her friends and they drove off. Even though it had been a girls’ outing, he was supposed to drive them that day. One of her friends was planning to move into the dorm at the university in Syracuse later that summer and they all had wanted to help her make purchases for her room. But the restaurant manager had a last minute opening and he was grabbing all the work he could. So he stayed behind. He stayed behind and worked so they would be a little bit closer to being able to afford getting married. His high school ring was never supposed to replace her engagement ring. He had been planning on buying one. But they wanted to move the wedding date up. They needed the money so buying the diamond was put on hold. Tom was still working the busboy job that had carried him through his senior year of high school. He had applications in at lots of other places for full time jobs, but the summer wasn’t the best time to get hired. His dad had wanted him to go on to college, but college wasn’t in his plans. Not anymore. He proposed to Joyce on their high school graduation day. Joyce’s parents tried to convince them each to go to the local community college. They kept telling them that a two year engagement wasn’t all that long after all. Tom and Joyce knew they couldn’t wait the two years. So he worked as many hours as he could as a busboy. He managed to pick up a few extra hours pumping gas at the local station also. Joyce babysat and she was going to start selling plastic kitchen containers to all the area housewives. She wasn’t planning to buy anything that day. She was just going along for the ride. She was just going to enjoy the day with her girlfriends. He wanted her to have fun. He was dead on his feet after the shift at the restaurant and he just wanted to go home and watch TV. His mom called him before he left work. His fifteen-year old cousin had run away again, something she did an average of twice a week since coming to live with them when she was twelve. Tom always knew where to find her and he picked her up on his way home that night. They were sitting in his car while he once again lectured her about her behavior when the police car pulled up. Tom knew that his world was about to end when he saw Joyce’s father get out of the back seat. He felt his muscles clench as he stared into the woman’s face that lay beneath him. If he hadn’t already felt her trembling, he would have known she reached her own climax just by the expression of her face. With one more powerful thrust he felt everything he had spilling into her, he felt a completeness he would have never thought possible. Everything stopped and then he swore he felt their hearts start beating again as one. Pausing a moment to look into her eyes, and they were beautiful eyes he thought, he brushed a long strand of chestnut hair away from her face and kissed her. Then he rolled off of her. “I love you.” Her voice was soft, like the touch of her lips. He couldn’t believe the tingling he felt in his loins at hearing her words. “What?” She almost laughed at his choice of words. She faced him and gave him a sultry smile; her bare breasts were firm and small. But not too small, he thought, just enough to fill his hands. He felt his groin tighten again and just stared. “Hey, are you okay?” She suddenly sounded self-conscious. “Uh, yeah.” He forced himself to look at her face. 1) Gladys asked, Should there always be a happy ending to a novel? Some genres require happy ever after endings, like romance genres, but even if the chosen genre doesn’t require the HEA, I believe it should still be a fulfilling ending. Take a book like The Diary of Anne Frank, definitely not a happy ending, but by returning Anne’s diary to her father, the only survivor of the family, the story ending has something significant and the story itself has a “purpose”. As a writer, whether I am writing a non-fiction article or a novel, it is my job to provide something for the reader to take away from my work – a thought, a value, inspiration… The average reader wants something final from a story, some type of solution. The solution doesn’t necessarily need to be outright happy, but no one should be left with haunting unanswered questions. Cliffhangers in a series will leave enough open to make the reader want to come back for more, but there have been answers and solutions along the way making the reader feel they’ve gained something along the way. 2) Cindy asked, How many of the settings in your books have you actually visited? I really have to count this one out. I’ve never been to Vegas (used liberally in His Lucky Charm), Colorado (from Karma Visited), or Louisiana and Arkansas (from Hostage Heart). I think I’ve been every other place I’ve used as a backdrop, or at least to the general vicinity. I tend to soak up stories from others about places and experiences they’ve been through; I certainly live vicariously. It doesn’t matter whether I have been someplace myself or not though, I do extensive research on each location and try to include enough reality to make the place real – and yet not so much description that I get tripped up for “faking it”. Several of my stories have had NYC and Hudson Valley settings, places I am very familiar with, but how often have we heard stories of folks who grew up in NYC and yet never visited the Statue of Liberty or the Empire State Building? I like to check my facts instead of relying on simple memory. Amusingly I once had someone who has been to Las Vegas talk to me about where I had been and stuff – when I told her I never was she told me I “had to have been there” because I described something so well in my book. Travel guides and Chamber of Commerce or Tourism sites are so rich with knowledge and often include pictures, maps and even videos and allow for virtual visits. 3) Marshall asked, Do you think that your early education gave you “food for thought” in developing plots, concepts or characters for your novels? Both my early education and experiences undeniably have provided me with a lot of fodder for my stories. I was extremely lucky to meet a lot of very interesting and colorful people. My parents were involved in the community which opened my eyes to different perspectives. Each school I attended from grade school through college allowed me to meet and socialize with people of varying backgrounds, faiths, economic status, and interests. I went to high school and college with artistic and creative types, and I worked a part-time job through college that allowed me to fulfill my sense of adventure (undercover retail investigation). All in all I grew up believing everything was possible and even the unexpected could happen. 4) Teresa asked, Where do you get inspiration for a story? I people watch, I listen, I read EVERYTHING, and I play the game of “What if?” I love to exercise (writing) and I rewrite nursery rhymes, newspaper articles, TV shows and things that happened in my own life that I would do differently now with my vast experience, lol. My husband is part of a federal medical team; he spent six weeks in southern Louisiana after Katrina and Rita devastated New Orleans. When Mark came home he was filled with stories about the strength and resiliency of the people he helped treat, as well as tear-filled recollections of the destruction and loss in the area. The more he spoke the more I pictured a family who had to put their lives back together and Deanna Blair and her parents (Hostage Heart) were “born”. Tidbits from other stories (news items mostly) and memories of folks from my past filled in the rest. 5) Vicki asked, How did you start writing? I volunteered with the NYC Auxiliary Police Department and worked under the auspices of our precinct’s public relations officer. Hank (the detective in charge) asked me to do a favor for him – a young man from our community was killed while trying to help a mugging victim and the weekly newspaper editor asked for an article about the incident. Hank knew I had taken creative writing in school and assigned the task to me. A week later, at the age of 18, I had my first professional byline. Nine years later, married and pregnant with our daughter, I decided to build a business that I could work from home and I returned to writing professionally. I got a few assignments with local magazines and newspapers. 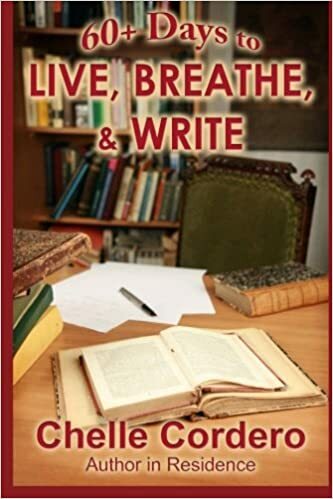 Several years later I realized that I wanted to write fiction, something I had always dabbled with privately, and I kept writing until I found a publisher. 6) Daisy asked, What started you into writing? I know that it is just a matter of time before your books turns into a screen movie. My parents always encouraged self-expression; however I was always very private with anything I wrote. I was shy and worried about exposing myself to ridicule or worse, vulnerability. No joke, putting something as personal as your written thoughts out there is tantamount to stripping naked and inviting a critique on every body flaw. In high school I had a class in creative writing taught by the renowned poet Daisy Aldan. Ms. Aldan encouraged me to write and deal with the vulnerabilities. I will never forget one writing assignment, we had to write a serious love letter to an inanimate object – I wrote a Love Letter to a Guitar which later appeared in my school’s yearbook – we all chuckled under our breath when the assignment was given, but the exercise proved to be life-altering. I learned to write with much more than pen and paper, I learned to write with my heart and all of my senses. 7) Jayne asked, How do you envision your hero in each book? My heroes tend to be a compilation of people I know, have heard about, or dream of. I’ve been asked several times if the hero in a book is really my husband, there are qualities that each one shares with Mark, but they aren’t him. While I admit to falling in love with each and every one of them, they are all different and each one has a bit of “bad boy” in him. I think my heroes fit the stories that they are in. One thing that I do in every story is gift each hero with a habit or trait that has my husband, Mark, all over it, even a few frustrating habits. In Courage of the Heart there is a humorous scene where Davie files Adam’s computer disks on his desk – only NONE of the disks are labeled and it winds up irritating him because he has to now go through them to make sense of the information. Back when we had diskettes Mark never, ever labeled them and it totally perplexed me. 8) From my publisher Kimberlee, Does your significant other read your stuff? No, not at all. Mark likes action adventure books; his favorite books are probably Ludlum and that sort. He “claims” he doesn’t like reading romance – even suspense. But a few years ago I heard another author talk about her husband not reading her books – she asked him if he felt self-conscious about reading the love scenes and that he might fear seeing himself on the pages. His answer to her was surprising, he was afraid he WOULDN’T see himself. I stopped trying to guilt Mark into reading my books after I heard that. He is very supportive of my writing endeavors though and cheers me on with each accomplishment. 9) From my publisher Kimberlee, What is the hardest part of writing your books? Writing “The End” and saying goodbye. I’ve created the characters and raised them to function and after all the time I’ve invested on them I now have to let them go off on their own. It really is an empty nest feeling. 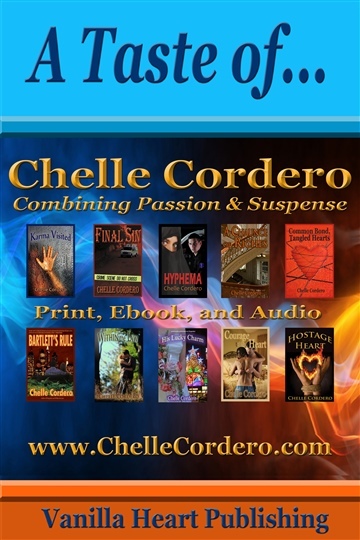 10) From my publisher Kimberlee, Tell us about your recent release. I love my novel Karma Visited – it was really a stretch for me to write, it was different from the others. Karma Visited is a Paranormal Suspense with a strong romantic edge. Annie Furman died on the operating table after an accident that took her parents’ lives – the doctors revive her but she has an unexpected ability to travel in her sleep to disasters and people in need. No one believes that her nightmares are real and her guardians put her into therapy, she eventually learns to pretend that she is “normal”. She gets married only to find that her husband, Scott, isn’t the man she thought he was. When she makes the mistake of confiding in him he uses the information to control her and threatens to commit her if she rebels. Annie meets Dave Turner in one of her dreams; surprisingly he can see and hear her. Dave and Annie grow closer and… well, you’ll have to read the book to find out the rest.